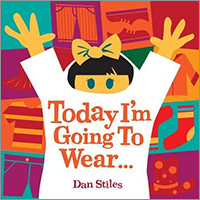 Dan Stiles is the author of Put On Your Shoes! (POW!, 2013) and Baby's First Book Blocks (POW! 2014). A Portland-based artist whose boldly graphic style has made his work instantly recognizable, Dan is known best for his work with musicians, for whom he has created hundreds of posters and CD covers. His work has garnered numerous awards, is regularly featured in national gallery exhibitions, and has been reproduced in a wide variety of books and magazines, including Dwell Magazine, Apartment Therapy, Graphis, Print, Step, and GQ and for clients like AT&T, MTV, Nickelodeon, Land of Nod, Nike, and X Games.